December 5 fell on a Friday in 2014; in New York City, the air was crisp. 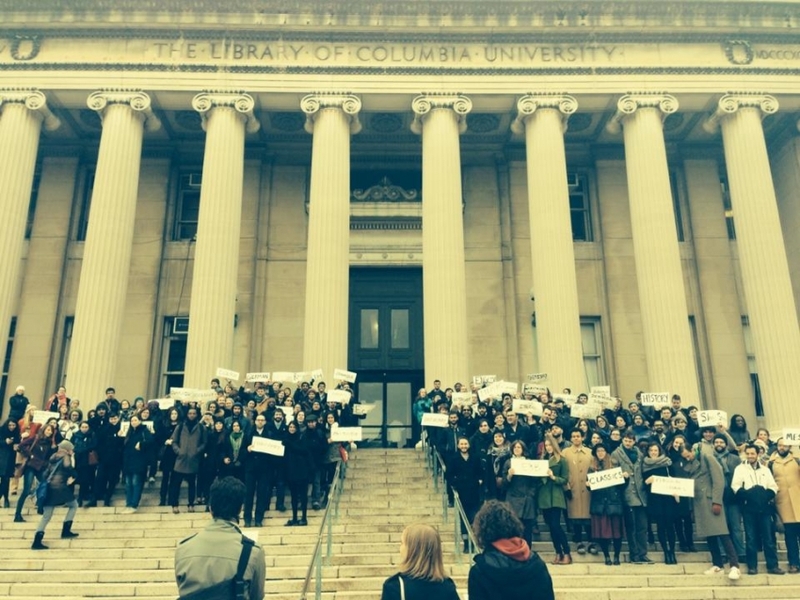 At Columbia University, about 200 graduate student-workers pulled on hats and scarves to gather on the imposing steps of Low Library, which houses the university president’s office. While most stood in a block formation, holding signs declaring their department names, a small delegation went inside to deliver a letter to the president. It asked that he voluntarily recognize their union, the Graduate Workers of Columbia (GWC-UAW Local 2110), which a majority of graduate employees supported. When the administration declined to reply, GWC and the United Auto Workers (UAW), with which it is affiliated, petitioned the National Labor Relations Board (NLRB) to certify their union. A complicated legal process ensued. For more than a decade, the NLRB considered graduate employees to be students, not workers. As such, they did not have the same legal rights of most employees, including the right to organize. All that changed two weeks ago when the NLRB decision on the Columbia case finally came back, siding with the student-workers and their right to collective bargaining. “Obviously, it’s a huge push for us and it’s caused a lot of excitement and enthusiasm,” says Ian Bradley-Perrin, a PhD student in sociomedical sciences and history, who has worked as both a teaching and research assistant. Graduate teaching and research assistants at a handful of private universities have been working towards unionization for years. Their administrations have largely been able to ignore their actions, citing the NLRB’s designation of them as students. Now, however, their efforts can finally move forward. They have the legal right to hold union elections and then negotiate contracts, providing them a collective voice in the terms of their employment. Already, the NLRB’s ruling is invigorating existing campaigns and inspiring new ones. Graduate employees at many public universities have long enjoyed the right to unionize, but their peers at private universities have faced a long, serpentine route to achieve that same right. In 2001, graduate employees at New York University (NYU) became the country’s first to form a union and negotiate a contract at a private university, providing teaching assistants with wage increases and improved working conditions. Three years later, graduate employees at Brown University attempted to do the same, but the NLRB, which had then shifted to a Republican majority, ruled that graduate employees were primarily students, not workers. In 2005, the NYU union’s contract expired and, using the 2004 Brown decision as precedent, the administration refused to negotiate a new one. NYU’s administration kept firm to that stance until fall 2013, when it offered to voluntarily recognize the union. More than 98 percent of graduate employees voted in favor of the union, making it, once again, the only graduate employee union at a private university. Organizers across the country were anxious to follow in their footsteps. Last month’s NLRB ruling gives them a shot in the arm. In its decision, the NLRB writes, “It is appropriate to extend statutory coverage to students working for universities covered by the (National Labor Relations) Act unless there are strong reasons not to do so.” It continues, “We will apply that standard to student assistants, including assistants engaged in research funded by external grants.” Not only does this include research assistants in addition to teaching assistants, but, Weil posits, it could also be interpreted as including working Masters students—and possibly even working undergraduates. According to Weil, the Harvard Graduate Students Union (HGSU-UAW) plans to file a petition for an election. She can already see a change in campus support. Organizers at The New School, in New York City, are experiencing a similar phenomenon. Like at Columbia, graduate employees at The New School asked their administration to voluntarily recognize their union. When that didn’t work, they too petitioned the NLRB for certification, only to hit the wall created a decade earlier by the Brown decision. Graduate workers at Cornell University took a slightly different approach to winning collective bargaining rights. While biding their time until the NLRB ruled on the Columbia case, they negotiated and signed a code of conduct with their administration in May. The document outlines the mechanisms by which a union election would take place and the behavior expected of both sides. “Our next steps are really just working on the union. We are building outreach and finding out what our members’ concerns are,” explains Ben Norton, a PhD student in the music department and the communications and outreach chair of Cornell Graduate Students United, the university’s graduate employee union affiliated with the American Federation of Teachers and the National Education Association. Campaigns on numerous campuses have been galvanized by the Columbia decision, but graduate employees at Yale University took perhaps the swiftest action in its wake. Less than a week after the ruling, they filed a petition to hold an election to certify their union with the NLRB. “We wasted no time. It was really exciting for the path to victory to open up and for us to really take advantage of it,” says Aaron Greenberg, a PhD student in the political science department and chair of Local 33-UNITE HERE, which represents Yale’s graduate teaching and research assistants. In filing their petition, UNITE HERE and organizers at Yale are creating yet another variation on a graduate employee union. Rather than file as an entire unit of employees across the university, they did so department-by-department, starting with 10 departments. One of the next steps for graduate employees at many of the private universities hoping to take advantage of the recent NLRB decision will be working out the exact parameters of the bargaining unit: who it covers and who it excludes is not yet completely clear. But in the meantime, they will, for the first time in more than a decade, be able to move closer towards unionization without legal barriers—barriers which, organizers believe, were knocked down by the force of the organizing that took place in those intervening years. This article was originally posted at InTheseTimes.com on September 9, 2016. Reprinted with permission. 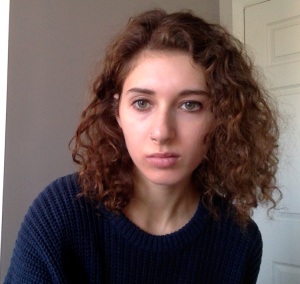 Rebecca Nathanson is a freelance writer in New York City. She has written for Al Jazeera America, n+1, The Nation, NewYorker.com,The Progressive, RollingStone.com, and more. This entry was posted on Monday, September 12th, 2016 at 8:49 am. You can follow any responses to this entry through the RSS 2.0 feed. You can leave a response, or trackback from your own site.